1) Italian Cream Cake at Paradox Pastry. For most of our lives, dessert has been the course that interests us least. Even from a young age, we found ourselves ordering an appetizer for dessert. Paradox Pastry has got us re-thinking things. They continue to crank out so many wow-inducing creations that we wonder if we’ve been giving dessert short shrift all these years. Our latest crush is Italian Cream Cake. 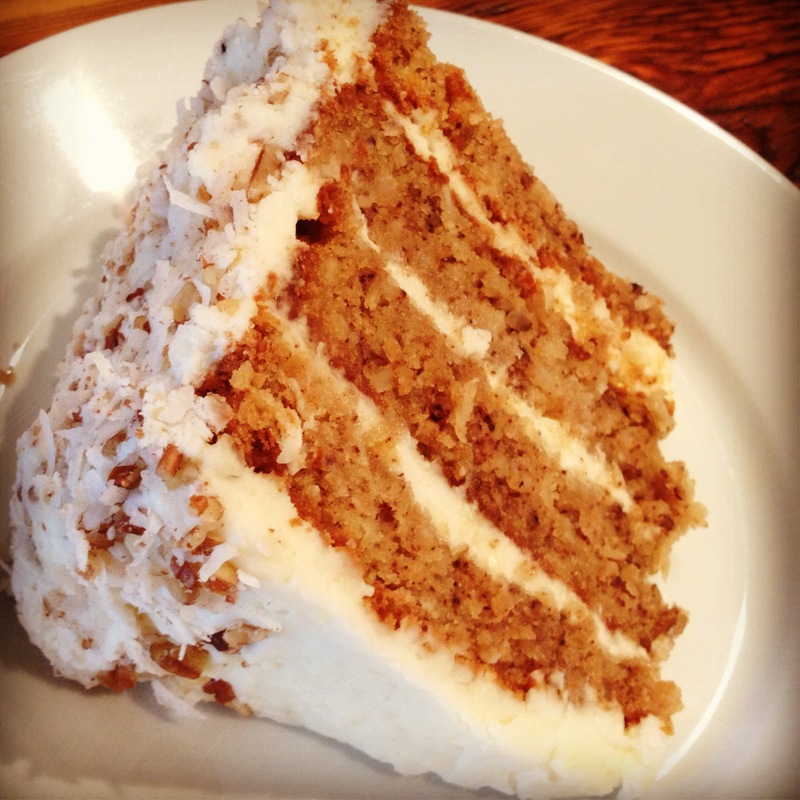 Four layers of cake with coconut, walnuts, and cream cheese frosting, it’s like a cross between German Chocolate Cake and Carrot Cake, yet with no chocolate and no carrots. A paradox, of sorts. 2) Shami Kebab at Afghan Grand Market. It seems not long ago that we wondered why the Washington D.C. area had so many great Middle Eastern kebab shops, while Charlottesville had none. Times have changed. Ariana. 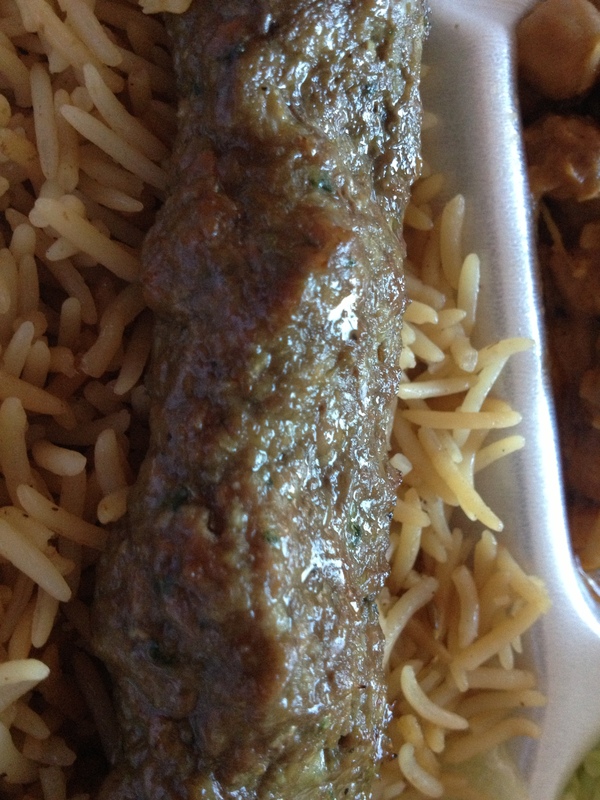 Afghan Kabob Palace. Sultan Kebab. M&M Lounge. Bazlamas. Aromas. Sticks. And, now, Grand Market, the tiny Middle Eastern food shop we have frequented for years that recently added a kitchen in the rear of the store. It’s tough to pick a favorite. The warm bread, puffed and charred by the tandoor? The rib-sticking, spiced, stewed okra? And, then there is the Shami Kebab — spiced ground beef skewered and grilled to order with a side of minty, yogurt-based sauce. Yes, the menu is limited and unpredictable, and, yes the seating is even more limited — just a few chairs and tables at the front of the store. But, the food will keep us coming back.